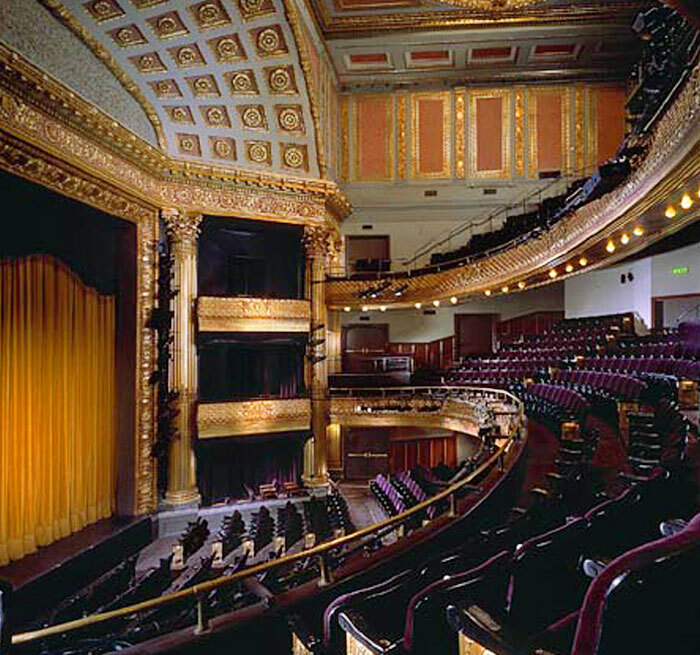 Auerbach Glasow provided audience chamber and public space lighting for the historic renovation of the Geary Theatre. The scope of work encompassed all public areas including four floors of lobby, two bars and the auditorium house. Custom lighting fixtures were designed by Auerbach Glasow together with the architect to complement the historic character of this 82-year-old national landmark building. 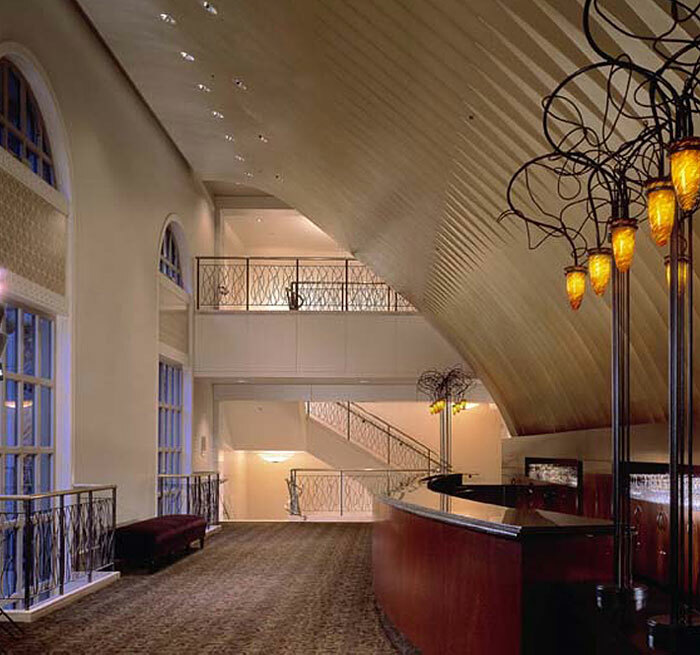 With the renovation of the audience chamber grand chandelier as well as the addition of decorative lighting fixtures and downlights, the lighting level in the house increased dramatically.